Rabbit anti human VASP antibody recognizes vasodilator-stimulated phosphoprotein. This antibody has been extensively validated for western blotting using whole cell lysates. 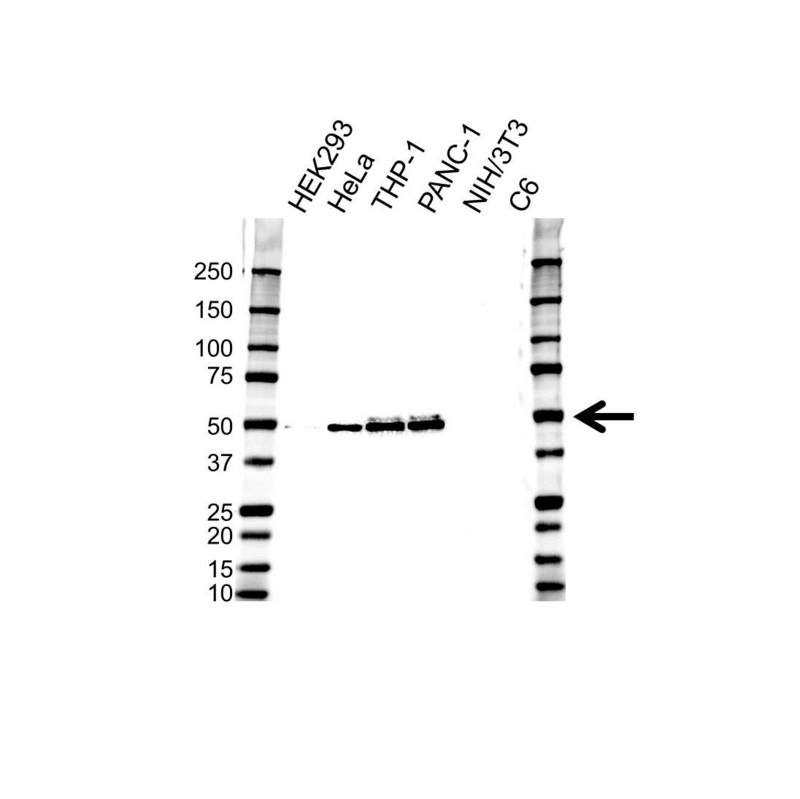 Rabbit anti Human VASP antibody recognizes VASP also known as vasodilator-stimulated phosphoprotein. VASP is a member of the Ena-VASP protein family. Ena-VASP family members contain an EHV1 N-terminal domain that binds proteins containing E/DFPPPPXD/E motifs and targets Ena-VASP proteins to focal adhesions. In the mid-region of the protein, family members have a proline-rich domain that binds SH3 and WW domain-containing proteins. Their C-terminal EVH2 domain mediates tetramerization and binds both G and F actin. VASP is associated with filamentous actin formation and likely plays a widespread role in cell adhesion and motility. VASP may also be involved in the intracellular signaling pathways that regulate integrin-extracellular matrix interactions. VASP is regulated by the cyclic nucleotide-dependent kinases PKA and PKG (provided by RefSeq, Jul 2008). Rabbit anti Human VASP antibody detects a band of 50 kDa. The antibody has been extensively validated for western blotting using whole cell lysates.